Festive Productions have four Showrooms at its head offices in Cwmbran, South Wales. They are accompanied with a suite of meeting facilities and on-hand staff to make every visit constructive and enjoyable. The main decoration showroom is made up of 15 rooms that encapsulate the delightful and elegant Christmas decorations produced by Festive. Each room or set of rooms is based on a particular theme such as Mystical Woodland and Season of Snow. 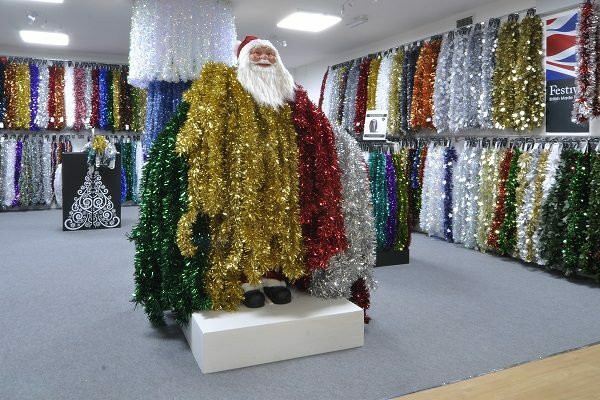 The Tinsel Showroom has now moved to a bright and airy new space to showcase the vast array of great, British made Tinsel products from garlands to tinsel trees. 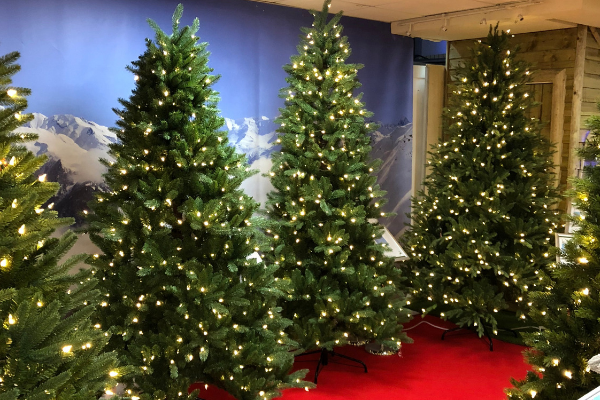 Our Festive tree showroom has been redesigned with you the customer in mind, each tree collection is merchandised by tree type and in price order. Our lighting showroom also has a new home this year and is the perfect showcase for our innovative collection, featuring our core lighting range as well as our extensive range of projectors. All our Showrooms as custom designed and built so they capture the spirit of Christmas. The South Wales Showrooms are open from the beginning of December to the end of June for Appointments. Our showroom in Enfield is in its sixth successful year, it is located north of London close to various transport links. 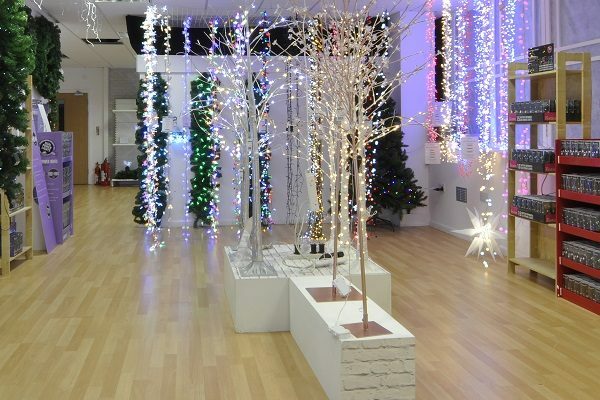 The showroom is ideal for taking new orders or topping up existing ones, Enfield holds the complete range of decorations, trees, lights and tinsel. Our Far East showroom is located in Dongguan which is just over an hours train journey from Hong Kong, like Enfield this is a product specific showroom ideal for customer focussed trips. The Showroom is situated in Hedlund International Offices.